Turkey Tail, scientifically known as Trametes versicolour or Coriolus versicolour, is a common polypore mushroom found throughout the world. It is a beneficial mushroom of the Agaricomycetes class and Polyporaceae family. It’s one of the 100 species of mushrooms that have been researched for their medicinal properties. The mushroom is native to Europe, Asia and North America and is found growing abundantly throughout the world. Few of the popular common names of the mushroom are Turkey tail, turkey tail fungus, Many-zoned Polypore, PSK, PSP, VPS, Yun Zhi, Kawaratake and Krestin. 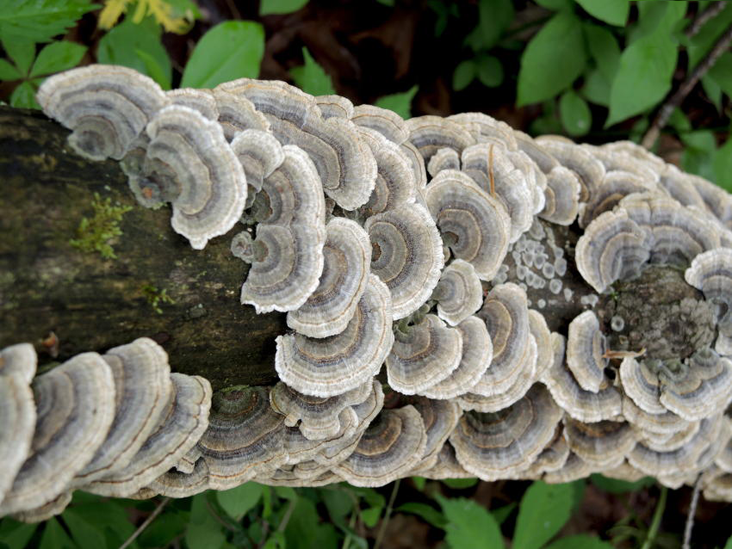 Trametes means “one who is thin”; versicolor means “of various colors” in reference to the strongly zonate cap. Turkey tail mushroom, or otherwise referred to as turkey tail fungus, may just be one of the best functional foods and mushrooms out there. Turkey tail mushroom grows on dead logs in woodland environments worldwide and gets its name from the brown and tan rings that look like the tail feathers of a turkey. 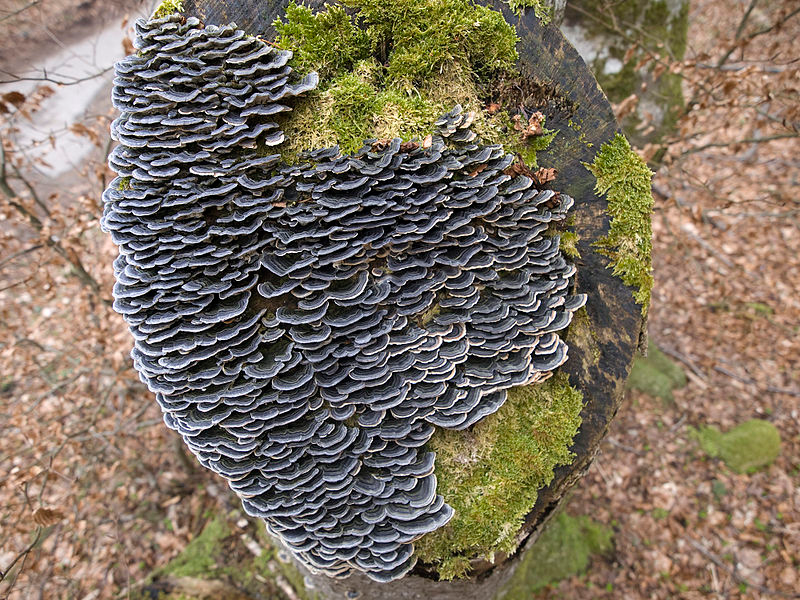 It’s a type of bracket fungi, which means that it forms thin, circular structures that appear leaf-like. The mushroom is best known to stimulate immune function and reduce inflammation. It has a long history of use in Asia among practitioners of traditional Chinese medicine, who used formulations of turkey tail to promote general health, strength and longevity. It is used in traditional Chinese medicine as a tonic, and recent studies suggest that it has immune-stimulant and anti-tumor properties. Turkey tail is a common polypore mushroom which is found growing in saprobic to weakly parasitic; clustered, usually overlapping or in fused rosettes on dead deciduous wood or on dying trees, rarely on Conifer wood. The top surface of the cap shows typical concentric zones of different colors. It is flat, 2–8 cm across; 1–4 cm deep; 1–2 mm thick; plano-convex to flat; in outline circular, semicircular, fan-shaped, bracket-shaped, or kidney-shaped; often fused with other caps; flexible when fresh; densely hairy or velvety, often with alternating zones of texture; with concentric zones of white, gray, brown, cinnamon, orangish, and reddish brown (but highly variable in color and sometimes with other shades, including blue, green, and orange). It commonly grows in tiled layers. Pore surface is whitish to pale brownish, not bruising, with 3–6 or more tiny pores per mm. Tubes are up to 1.5 mm deep. Flesh is insubstantial; whitish, except for a very thin black line (in cross-section) separating the cap surface from the flesh; tough and leathery. Spores are 4.5–5.5 x 1.5–2 µm, cylindric, smooth, hyaline in KOH, inamyloid. Basidia is 18–20 x 3–4.5 µm, 4-spored, clamped. Cystidia not found. Hyphal system is trimitic. Turkey tail mushroom has long been known to stave off any infection, including those related with the common cold or flu. It helps your immune system become more resilient against ill-causing germs. When flu season approaches, you may want to include turkey tail as a supplement in your dietary routine. 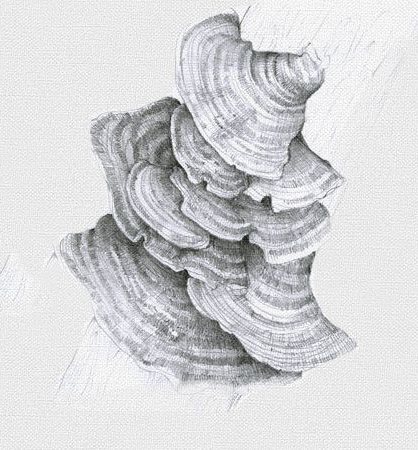 The turkey tail mushroom has been shown to modulate the immune system, helping fight infections, illness and diseases. Keeping a healthy balance of beneficial bacteria in your gut is important for maintaining a strong immune system. Gut bacteria normally interact with immune cells and directly impact your immune response. 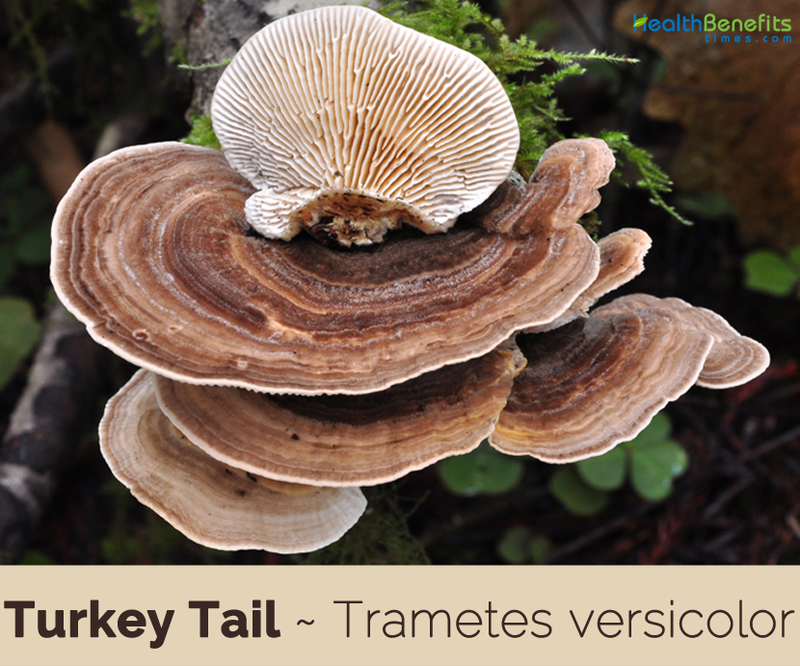 Turkey tail consists of prebiotics, which help nourish these helpful bacteria. Research has concluded that turkey tail extract improved gut bacteria composition by increasing populations of beneficial bacteria like Bifidobacterium and Lactobacillus while reducing potentially harmful bacteria, such as Clostridium and Staphylococcus. Turkey tail can help the digestive system in yet another way: by helping regulate blood sugars. Diet high in sugar and processed foods is inarguably awful for health, and can even lead to type 2 diabetes. Research has suggested supplementation of turkey tail may reduce this risk. One research showed that extract of the mushroom helped reduce insulin resistance for both protection against and a possible aide in the treatment of type 2 diabetes. Antioxidants are compounds that help inhibit or reduce damage caused by oxidative stress. Oxidative stress results from an imbalance between antioxidants and unstable molecules known as free radicals. This can result in cellular damage and chronic inflammation. Turkey tail could be a natural supplement for both helping reduce the risk of and supporting a wide range of illnesses. These could include all disorders such as autoimmune conditions, HIV, AIDS, type 2 diabetes, and more—but also heart disease, liver disease, digestive disorders, and pretty much any degenerative disease owing to turkey tail’s richness in healthful antioxidants. Research has reveal that the use of turkey tail mushroom, along with other wild medicinal East African mushrooms, may be beneficial in treating patients with Kaposi’s sarcoma, a skin cancer often affecting those with HIV/AIDS. The same product has also benefited patients with HIV/AIDS even without the sarcoma. Polysaccharopeptides are protein-bound polysaccharides that are found in turkey tail mushroom extract. Krestin (PSK) and Polysaccharide Peptide (PSP) are two types of polysaccharopeptides found in turkey tails. Both PSK and PSP possess powerful immune-boosting properties. They promote immune response by both activating and inhibiting specific types of immune cells and by suppressing inflammation. Research has demonstrated that turkey tail mushrooms may have antitumor properties, thought to be related to its immune-boosting effects. One test-tube study found that PSK, the polysaccharopeptide found in turkey tail mushrooms, inhibited the growth and spread of human colon cancer cells. As it turns out, this colorful mushroom may be a protector of one of the body’s most important organs: the liver. The liver is an important protector, purifier, and producer of important hormones, enzymes, and antibodies. As such, it’s also an integral key player in the immune system. Turkey tail is commonly used in tandem with traditional treatments like chemotherapy as a natural way to fight certain cancers. Research found that patients given 1–3.6 grams of turkey tail mushroom per day along with conventional treatment had a significant survival advantage. 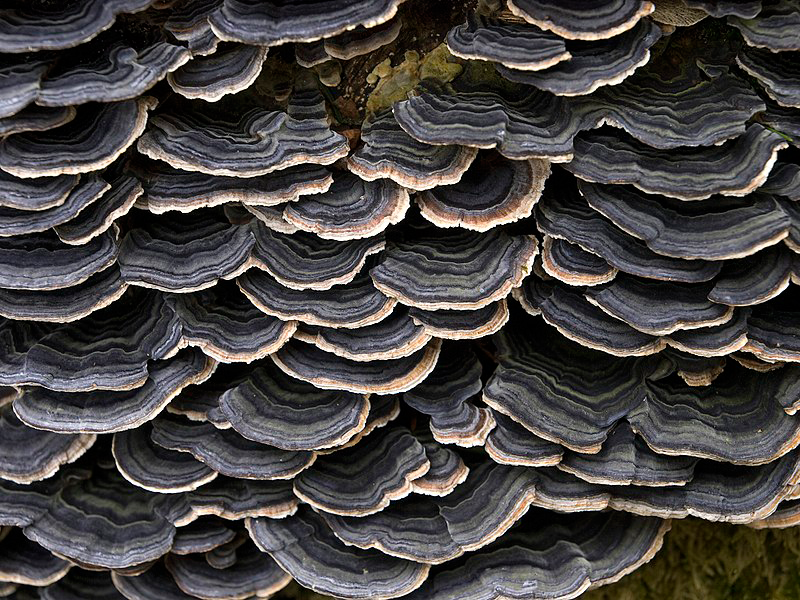 Research showed that turkey tail extract improved exercise performance and reduced fatigue. Plus, the mice treated with turkey tail experienced lower blood sugar levels at rest and post-exercise. When used in combination with certain chemotherapy regimens, PSK may benefit patients following surgical removal of stomach and colorectal cancers. PSK is possibly useful as an adjuvant in the treatment of gastric, esophageal, colorectal, breast and lung cancers. It is used along with treatment of cancer in Chemotherapy. It increases the chances of 5 year survival in cancer. It decreases liver toxicity and increases appetite. Turkey tail is deeply nutritive and nourishing to the immune system. Turkey tail broth is helpful for people who are convalescing after illness, because it is easy to digest and its nutrients are easily absorbed into the body. 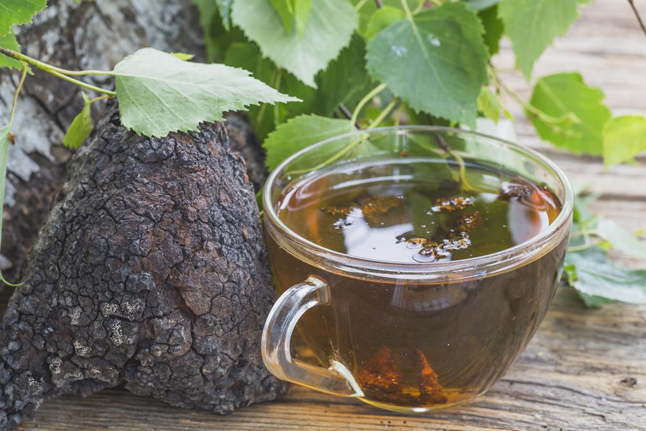 Sip turkey tail tea at the onset of a cold, flu, or fever. The compounds in the fungus stimulate the immune system and affect tumor growth. There are many ways you can include turkey tail into your diet, from fresh turkey tails to extracts, tinctures and powders. One of the smartest ways to get your turkey tail in is a super food powder, like Organifi Gold that allows your body to enjoy the benefits of this medicinal mushroom along with other powerful super foods. 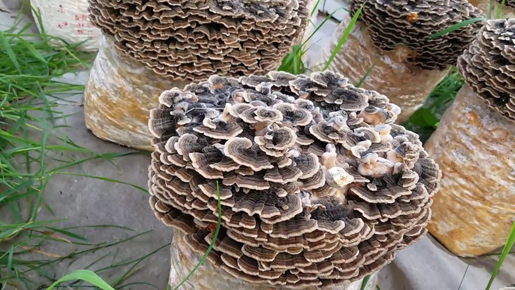 You can find turkey tail anywhere in the world if you go mushroom hunting. However, make sure to learn more about mushroom foraging, go with someone knowledgeable and learn more about mushrooms before picking up anything. Using fresh turkey tail mushrooms, you can cook them, make tea out of them and make your own tinctures, powders and extracts even. You can cook turkey tail mushrooms like you would with any other mushrooms. Clean them off, wash them well, and then dry them. 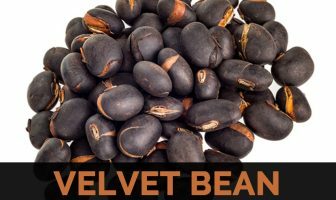 You can steam, simmer, or sauté them and use them in soups and stews. If you are using powders or extracts, you can make tea, smoothies and juices out of them and even sneak them into baked goods. Be creative and don’t be afraid to try new things. Turkey tail extracts are more potent than simple turkey tail powders. However, many turkey tail extracts are specialized, known as PSK or PSP. 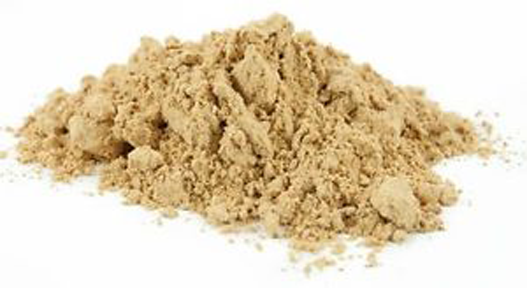 These specialized extracts focus on the single polysaccharides in the mushroom, creating a powerful extract, but excluding many other beneficial compounds. PSK has been found particularly helpful for chemotherapy patients taking 3 mg daily. You can find turkey tail mushroom extracts in health food stores and online in a powder or supplement format. 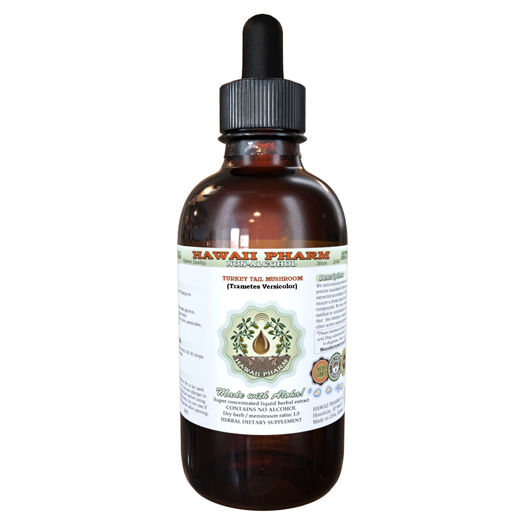 Turkey tail tinctures are a liquid format you can use to reap the benefits of these medicinal mushrooms. You can add some drops to water, smoothies, juices and other drinks or recipes. You can find them in health food stores and online or even learn to make your own. While many tinctures are made with alcohol, you can also find alcohol-free varieties on the market. Turkey tail powders are basically a powdered form of dried turkey tail mushrooms. They are not as powerful as turkey tail extracts, thought they include most beneficial compounds without specializing in one specific one. Like extracts, they can be found at health food stores and online and can be added to smoothies, juices, shakes, dips, sauces, dishes and baked goods. Strain the mixture through a colander. Add a ½ teaspoon of fresh ground turmeric and the honey and stir. Add the lemon essential oil and stir again. If you’d like to add additional flavor, almond milk, one drop of cinnamon, ginger or lemon essential oil, or stevia are good options. Feel free to add the rest of your turmeric to your leftovers while it’s still warm since it’s easier to blend, and keep any leftovers in the refrigerator. You can then reheat or serve chilled or on ice. 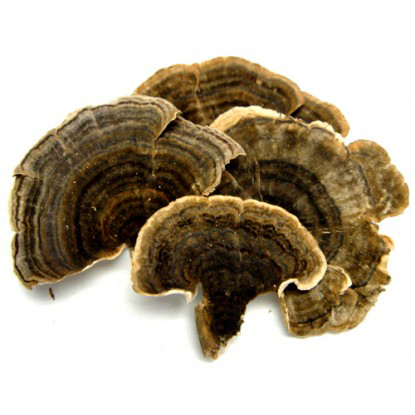 Some people may experience digestive symptoms like gas, bloating and dark stools when taking turkey tail mushroom. When used as a cancer treatment alongside chemotherapy, side effects including nausea, vomiting and loss of appetite have been reported. Another potential side effect of consuming turkey tail mushroom is darkening of the fingernails. The easiest way to prepare and consume turkey tail is to combine the dry fungus in broths with herbs such as astragalus and burdock. In Japan, it symbolizes a sense of longevity and spiritual strength. In China, practitioners used it to support respiratory and gut health, as well as energy and immunity. Coriolus versicolor f. ad-hirsutum-transiens Bres. Coriolus versicolor f. ad-zonatam-transiens Bres. Polyporus versicolor var. fuscatus (Fr.) Fr. Polyporus versicolor var. nigricans Fr. Trametes versicolor f. fuscata (Fr.) Domanski, Orlos & Skirg.